The Moorish Castle, or Castelo dos Mouros, in Sintra, Portugal, is one of the town’s only examples of military architecture. Its origins remain a little unclear. 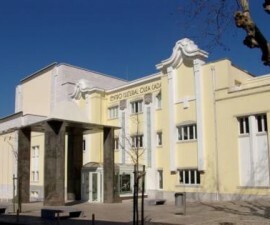 Some believe, due to the construction techniques used, that it in fact dates back to the seventh century and would therefore have been constructed by the Visigoths, whilst the majority hold that its origins are somewhat later, in the eighth or ninth century at the height of the Moorish occupation. 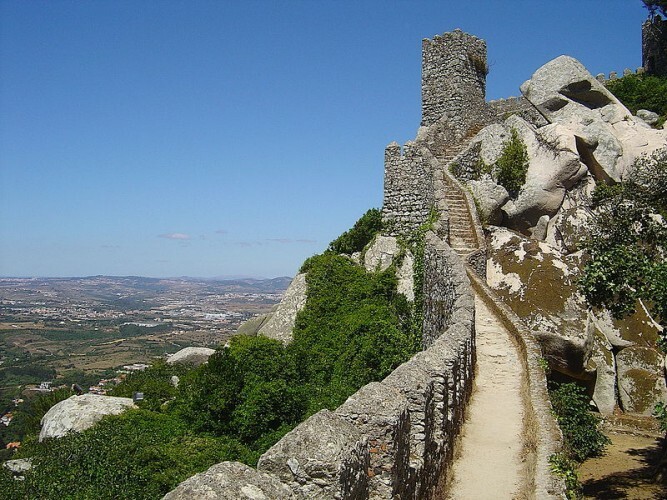 The Castelo dos Mouros became an important strategic military landmark in the twelfth century after the fall of Lisbon and was associated with being a major military stronghold during the times of the Reconquest. 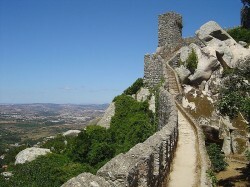 The Moorish Castle was significantly rebuilt during this time, but as its strategic importance diminished it was gradually abandoned and finally left to ruin. 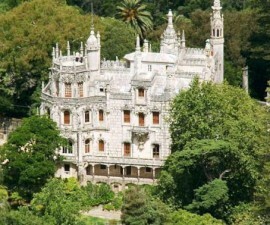 Its physical demise was exacerbated by the 1755 Lisbon earthquake, causing major damage to both the castle and the chapel located within its walls, and despite efforts begun by Ferdinand II of Portugal to renovate and conserve it, it has taken considerable efforts to preserve its basic structures. 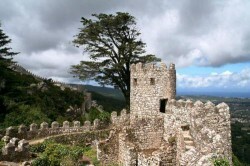 It is only within the last thirty years or so that the castle has been recognised as a monument of special interest and with the increasing popularity of Sintra as a tourist destination in general, the Moorish Castle has taken its rightful place in the history books and the local guidebooks of this enthralling region. The Castelo dos Mouros is notable for its unique setting, perched high above the town of Sintra on one of the furthest outposts of the Sintra-Cascais Natural Park, one of Portugal’s leading protected areas of natural beauty and interest. The castle walls wind their way up the mountain to the summit, seeming to merge and be at one with the jagged rocks that line the 40% gradients. 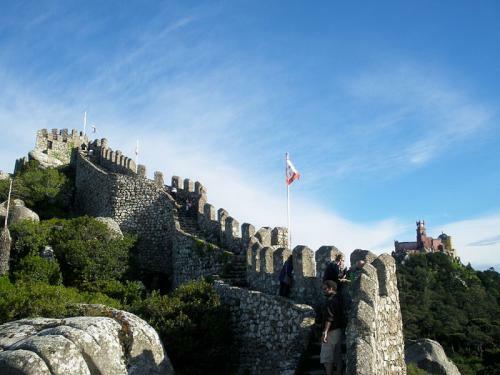 Visitors can reach the Moorish Castle either via nearby Santa Maria e Sao Miguel or via a path directly from the Pena Palace. The views back towards the Pena Palace from the castle are breathtaking, a jumble of tamed sand and pastel colours swirling around the summit of Sintra Mountain and capped with beautiful crafted domes in Romantic style. From every angle, the Castelo dos Mouros offers stunning panoramic views across the Serra da Sintra, with its lush greenery and eclectic collection of colourful architecture. 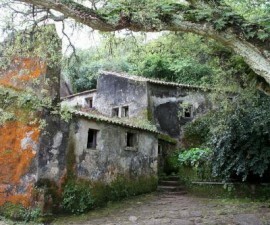 Definitely a sight not to be missed on your visit to this lovely romantic hideaway.